Announce your event in the City of Trees with the Boise Postcard. Featuring a prominent blue sky over the scenic Boise River valley, guests will appreciate the natural beauty of the Boise foothills. Make the most of your event budget with coordinating promotional materials in a Matching Event Kit. 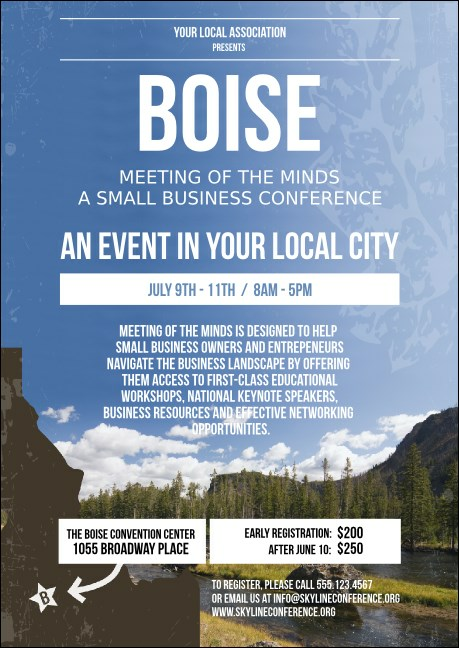 See the potential in your Boise event with the right postcard from TicketPrinting.com.